If you have ever been to Breckenridge, you know just how many outdoor activities are going on all summer long. If your looking to spend time with the family and get outside, try a family friendly hike in town and use this guide to help you plan for every level of hiker in your family! Known as a popular ski run in the winter, this run turns into a great hike in the summer! This trial can be accessed right off of Main Street in Breckenridge and offers some great views! (go as far or short, as you like). This trail has moments of flats as well as some steep inclines so make sure to bring a pair of tennis shoes or hiking boots! The mid-way point leads you to the Breckenridge maintenance shack . From here, you can see the mountaintops without looking up or enjoy a bird’s eye view of town. It typically takes a round trip of 1 hour for this route. Need more exercise? Continue to take the tail to the top of ogf the ski resort by follow the chair lift. Brining your dog for the family adventure? Carter Park is a great place to bring the dogs and kids! This recreational park offers plenty of activity for the whole family. Check out the Dog Park or head up the “Breck Steps” for a great hike. Be cautious! These steps are steep and a high incline- but don’t fret! Though these steps can be steep as soon as you get to the top, take in the mountain views and scenery! From here you can see all of Breckenridge ski resort and the 4 peaks it spans across. Continue on Moonstone trail for a mellow hike to the top. Among one of the more popular trails in Breckenridge this hit trail offers some great wildlife and scenery. This trail follows the Gondola to Breckenridge ski resort. This trail has times of incline but is relatively mellow hike fit for the whole family! This trail sits in the valley below Breckenridge Ski Resort and is nestled in trees for great shade coverage as well as true mountain scenery. Before heading to this trail make sure it is open and if your thinking of bringing the furry one, watch out – locals refer to this spot as “Moose Country”! There is a hiking trail in Breckenridge for everyone. If you are looking to get out spend some time with the family while also enjoying the outdoors try one of these trails in Breckenridge! Sweet summertime is here and there’s plenty of fun events going on in Breckenridge that you can’t miss out on. Whether you’re into art, music, family fun, sports or dining, there’s a little bit of something for everyone here in Summit County. Grab your sunscreen, friends and family and get to Breck to enjoy some fun in the sun. June 2nd-5th – Wave: Public Art Show, 5-11 pm. This FREE public art celebration takes place at the Blue River Plaza and features interactive light, water and sound exhibits that will make a splash in your summer memories for years to come. June 9th – Town Cleanup: This annual event brings the community together to care for the mountains we love so much. Volunteer to help clean the peaks and receive get free lunch and a complementary voucher to an activity at the Summer Fun Park. Not a bad deal! June 10th – The Summer Fun Park opens in Breck! Don’t miss out on the Breck Flyer Zip Line, Gold Runner Coaster, SuperPutt Mini Golf, Alpine SuperSlide, Mineshaft Maze, SuperBungee trampoline, Gemstone Panning and more. Kids and adults alike have an absolute blast at this summer hot spot. June 11th – The Rob Millisor Heart Health Walk, Carter Park, 8:30 a.m. Don’t miss The Inaugural Rob Millisor Heart Health Walk in remembrance of the late BGV Developer, Rob Millisor, who sadly passed away while on a humanitarian trip in Nepal in October of 2015. Rob served the Summit County community in a very large way, and helped make Breckenridge the amazing community it is today. Learn about your own heart health and ways to stay on top of your health. Funds raised will benefit the community and heart health awareness and research efforts. There will be a ton of fun activities for the family, as well as a complementary lunch and snacks for participants. Register today! June 11th – 12th – BGV Golf Tournament at Breckenridge Golf Club. BGV is partnering with The Summit Foundation again, for the 29th Annual Golf Tournament of The Summit Foundation. This year, the tournament is in honor of Rob Millisor and features a Mayor’s breakfast, tournament play, gifts, on course food and beverages, and course challenges. Proceeds raised will benefit The Summit Foundation. June 16th – 18th – Frisco BBQ Challenge. This communal barbeque brings everyone together for great food, drinks, activities and laughs on Main Street in Frisco. One of the most anticipated events of summer, you shouldn’t miss this one! June 17th – 19th – Gold Panning Championships. Breckenridge will get in touch with its origins again this summer, hosting the Gold Panning Championships. Bring the whole family down to the Blue River Plaza to learn how it’s done from national competators. You might not strike it rich, but you will definitely have fun! June 17th – 28th – Chicago, Breck Backstage Theatre. This classic play will come to life in the high country like never before. Make sure to get tickets ahead of time, as this will likely sell out! June 22nd – 26th – Breck Bike Week. One of the coolest week-long events in Breck, Bike Week offers fun and resources for all levels of riders, as well as specific workshops for men, women and children. Get your dirt shred on and come meet other bikers while enjoying the festivities at Blue River Plaza. June 25th – 26th – 6th Annual Blue Ribbon Bacon Tour. Hop over to Keystone and get your bacon on at this highly anticipated food festival. Eat all of the bacon your tummy can handle, while enjoying some live music and tasty brews. Getting tickets ahead of time is strongly recommended. July 1st – 4th – Street Arts Festival. It’d be a shame to miss 3D pavement drawings, sidewalk illusions, graffiti art, live music and chalk art contests in Breck this summer. The streets quite literally come to life right in front of your eyes! The best part? It’s FREE, and they even have hands-on workshops for all to enjoy! July 4th – Independence Day Celebration. Mountain bike races, kids’ water fights, the Garden Party, a 10k run, Viper Show and Shine, a free concert, the National Repertory Orchestra’s performance and fireworks are just some of the fun things happening to celebrate the USA’s independence on this special day. July 9th – Breck Summer Beer Festival. Grab your crew, tickets and your drinking shoes and head to downtown Breck for one of the biggest parties this summer. This town knows how to celebrate! July 15th – 17th – Wine & Jazz Festival. This is an annual festival that celebrates the love of jazz music and tasty wine. Grab tickets ahead of time, as this may sell out. Located in Keystone, you will enjoy live music, great drinks and yummy food! July 29th – 31st – 15th – Annual Breck Main St. Art Festival. For the 15th year in a row, Breck’s streets will be filled with over 100 artists from all over the United States. The event is free and has everything art, including jewelry, paintings, mixed media, ceramics, sculptures, wood, glass and even more! August 12th – 21st – Breck International Festival of Arts. This annual art celebration, also known as BIFA honors adventure, creativity, play and fun in many unique ways. There’s something amazing for everyone throughout this week of festivities! August 26th – Sept. 4th – Hairspray at the Riverwalk. The Breckenridge Backstage Theatre is at it again with a remake of the Broadway hit, Hairspray. There are various times and dates for shows, but make sure to get tickets in advance! August 27th – 28th – Spartan Race. Watch athletes push themselves like never before, during these two testing races at one of the highest mountain towns in the country. NBC sports will be covering these events, so you might even make it on the news! Well, there you have it: a stress-free and fully planned out summer itinerary. As more events pop up, we will be letting you know, so don’t forget to check back frequently. Need lodging? We got you covered. The best deals in town can be found at breckenridgediscountlodging.com. Happy summer! https://www.bestofbreck.com/wp-content/uploads/2016/05/Monday-may-23-2016.jpg 1500 1500 Karah Helena Kidger https://www.bestofbreck.com/wp-content/uploads/2015/08/logo-332x156.png Karah Helena Kidger2016-05-23 19:24:212016-05-25 17:41:06Summer Events in Breckenridge! Summer is officially here! Come enjoy the mountain this weekend and make sure to check out all these fun happenings! There are tons of exciting activities going on Breckenridge. Click here for more information. What are you doing this weekend? Get away for a day or two and check out all these fun events happening in Breckenridge! Click here for information on discounted lodging in Breckenridge, or check out our flash sale below! Stay in Breckenridge for only $50 a night! Have you visited the new arts district known as BreckCreate yet? It is bringing in a unique mix of creative opportunities for all ages and interests. 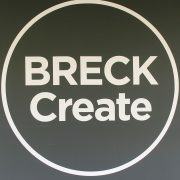 Whether you a are a local or visiting with your family, make sure to check out a list of events Breck Create is putting on. There interactive events can be fun for the whole family. We are here to inform you of an upcoming event that we believe should NOT be missed! A collection of whimsical short films featuring light, water and sound, screened al fresco (in the cool air) on the south facade of Old Masonic Hall located at the corner of Washington and Main streets. WAVE Reels is a collaboration with the Breckenridge Film Festival presenting a series of playful shorts representing light, water and sound (June 2, 4, 5 from 9-11pm) and a short look at hard issues associated with water, screened al fresco (June 3 from 9-11pm). WAVE Reels with the Breckenridge Film Festival is a featured collaboration at WAVE: Light + Water + Sound, an exhibition of cutting-edge works of contemporary public art presented from June 2–5, 2016. The FREE four-night festival features interactive artworks, temporary installations and performances in and around the Blue River Plaza in downtown Breckenridge, transforming the river, bridges and waterfront area into outdoor canvases, stages and exhibition spaces. Not only does BreckCreate put on some amazing events, they also offer a wide variety of classes and workshops to sign up for. Varying from jewelry making, ballet dance classes, adult coloring sessions, and writing courses, you will be able to find something at BreckCreate to either challenge you or indulge in a favorite pastime. Check out the full ongoing list of classes offered, here. Share your photos with us at Breckenridge’s events on our Instagram using #BestofBreck! Presented by Breckenridge Creative Arts, in partnership with the Breckenridge Tourism Office. The Breckenridge Film Festival, founded in 1981, is one of the oldest film festivals in the country. Educational outreach programs, children’s films, celebrity guests, educational forums and workshops for all ages and other events celebrating the art of film, contribute to the festival’s diverse program. Shape Up for Summer Activities! The warm weather is on its way to Breckenridge and we all know what that means… Summer activities are right around the corner! Just as it takes time for our bodies to get in shape for winter skiing, the same can be said for summer activities like hiking, biking, swimming, rafting and all the other fun activities. 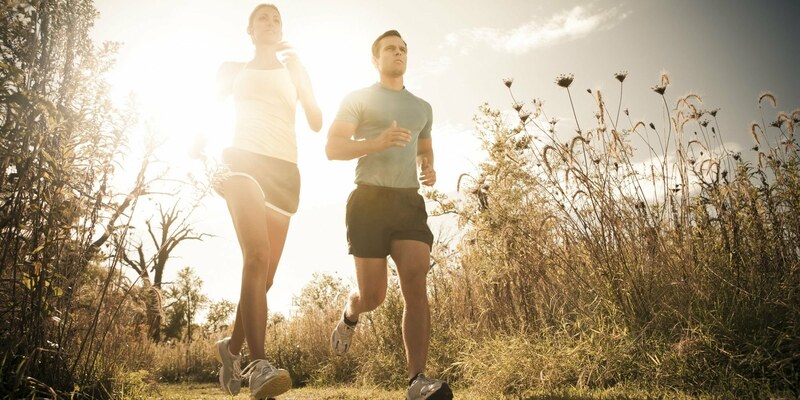 Make sure you’re ready to hit the summer adventures by shaping up with these exercises! First, read some basic instructional tips for most of these moves. **Always consult a physician before performing any sort of physical activity. Never push yourself over exhaustion. Whether you are an avid day hiker or an overnight backpacker, there is no denying that the first time back from the winter can be tough to make it up the hills. Making sure your core, back, hamstrings and thighs are in the best shape is the ideal way to get prepared. Here are some exercises to get those muscles prepared! Let’s face it, there is nothing better than jumping into a pool or river on a hot day. Whether you like to sit pool side or swim laps, these exercises are sure to get your body in the best shape for the season! One of the most popular summer activities, biking is a great way to spend time with family or get outside and get a good work out! In order to get in the best shape for biking season, make sure to work those legs, biceps, back, and glutes! Breckenridge sits right on the Blue River. Though this river in town might not be the place to go raft, just 1 hour away, the famous Colorado River awaits. This is not only one of the best places to go rafting, the scenery is unreal. Regardless if you’re rowing an entire raft or simply helping paddle from the sides, here are some great ways to make sure that core, your arms and shoulders are ready for those rapids! There are tons of different exercises that you can utilize to get in shape for any summer activity! Follow this guide, and you will be sure to experience the best of what Breckenridge summer activities have to offer. https://www.bestofbreck.com/wp-content/uploads/2016/05/Monday-May-9-2016.jpg 1500 1500 Meckenzie Donnell https://www.bestofbreck.com/wp-content/uploads/2015/08/logo-332x156.png Meckenzie Donnell2016-05-10 21:03:512016-05-23 20:29:27Shape Up for Summer Activities!